This is the sermon that I delivered at the First UU Church in Toledo, Ohio. enclosure for the burial ground at the Race Course. In some ten days, they constructed a fence ten feet high, enclosing the burial ground, and landscaped the graves into neat rows. The wooden fence was whitewashed and an archway was built over the gate to the enclosure. On the arch, painted in black letters, the workmen inscribed "Martyrs of the Race Course." Days of Memory, such as Memorial Day, are occasions of building community. Everybody mourns someone eventually. Your community are the friends who will “be there”, as George Tyger says, for you when you mourn. You, in fact, could define the boundaries of your community by observing for whom and with whom you would mourn. Today, we include in our community all those who died in the service of our country in war. Whether we knew them personally, or whether we knew their family, it does not matter. Today, we say that they are all our family, and we honor them and mourn them as though they were our very own. Great public acts of mourning and remembering are ways that we define ourselves — who is in our circle of mourning and who is not. And in so doing, communities are built and healed. Remember how the creation of the Vietnam War Memorial in Washington helped to heal the divisions of the country over that war. Memorial Day, comes from Decoration Day, which honored the dead of the Civil War. Fascinating book: Republic of Suffering by Dawn Faust Gilpin, about the presence of death in the post Civil War society. The Civil War Deaths was very political. Many Union soldiers died all over the South, many were in unmarked graves, untended, some were vandalized and desecrated by those still loyal to the Confederacy. Many graves of the Union dead, both black and white, were secretly tended by local African Americans. Concern for the Union dead buried haphazardly in the South led to the creation of the National cemeteries. The first was established in 1868 in the front yard of the family home of Robert E. Lee across the river from Washington DC. Eventually, a massive effort was made to locate, dig up and rebury the body of every union soldier who was buried in the South. Three Hundred Thousand bodies were moved to national cemeteries. Clara Barton, the famous nurse, started an effort in which union veterans were asked to report the sites of forgotten graves in the South, and information poured in, as many soldiers had carefully preserved the places where comrades had fallen and been quickly buried. These stories fascinate me; by honoring the dead we define ourselves, and define who made us, and choose which story lines out of the past are our story lines. On the other hand, this country has not acknowledged, nor honored, nor even enumerated the deaths of the African people that made up our history. And when the history we are taught ignores or minimizes the stories of a whole group of people, that history is exclusionary, writing out of our history — saying, in effect, American history is the history of the European people in North America, and that people who were not white, are outsiders to the history. Every unjust deaths drives a wedge between people, and as long as those unjust deaths are not mourned together, that wedge remains. So today, I want us to stand tall, and draw upon our strength and humility, and express our solidarity with the African people who have died in this country’s history. So let us enter into these remembrances with a spirit of mourning, a sense of respect, a yearning to honor, and as prayerful lamentation at the injustices that have made us. Let us remember Chaplain Tyger’s words: When things become difficult, even tragic, we need to know that there are friends we can turn to, and rely on. We have to start with the deaths associated with the transatlantic slave trade. It is estimated that 15 million African human beings were sent to the New World over a period of 350 years. Historians and demographers estimate that 1/3rd, or 5 million human beings died in transit, or immediately upon arrival. The Atlantic Ocean is the mass grave of a Holocaust. In the New World, Africans were brought here to die. The conditions of life in the Caribbean and in the Tidewater of Virginia were so unhealthy and pestilential that those brought here to grow and process sugar and tobacco lived only a few years. Disease and overwork carried away many, only to be replaced by new arrivals. The period of slavery itself was, of course, replete with the deaths of enslaved people, from overwork, from punishment, as well as all the dangers of life in that era. The life of an enslaved person had no value and could be taken with impunity by that person’s owner. But consider these deaths; in 1831, Nat Turner’s rebellion — a rebellion rose up and killed 55-65 white people. Turner was captured, tried and executed, gruesomely but according to a legal process. 65 people were killed by legal processes convicted of crimes, although that is larger number than those who participated in the rebellion. Another 200 African persons were killed by mobs and militias. All through American history, we see this same pattern: when the struggle for African American freedom takes a violent turn, the responding violence is disproportional and falls most heavily on black people. Mass and random retribution is the response. 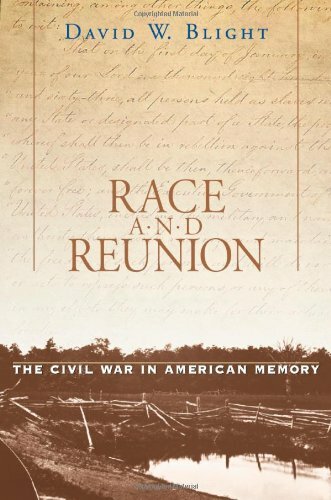 179,000 Black soldiers and sailors fought in the Civil War, about 10% of the Union forces. Forty thousand died. 3600 black people were lynched during the Jim Crow period. The Red Summer of 1919 in which whites initiated mass violence against the growing black communities left many African Americans dead, usually entirely innocent people attacked in the streets, or taken from the homes. Chicago, Tulsa. The disproportionate death toll of the urban uprisings of the 1960’s. 34 in Watts in 1965, 43 in Detroit in 67, 23 in Newark in 67. Today, we continue to see this disproportionate response. All crimes, no matter how petty, can become capital crimes for black people. Just the other night, police shot some shoplifters in Olympia, Washington. Even to show the slightest hesitation in complying with a police command can result in death. And even to today, when the government cannot tells us how many black men are killed by its police forces. And consider the numbers that die in custody and prison. And the white public washes its hands of what it calls “black on black” crime, as though our government does not have the responsibility to keep all of its citizens safe. We accept as normal and expected that black people will have shorter life expectancies, poorer health outcomes, more diseases than whites, higher infant mortality as though their deaths are normal. We are inured to the deaths and suffering of black people. When I was in Clinical Pastoral Education, we used to say that we could sort our emotional responses into four big broad categories. We could be “glad” — happy that something happened. We could feel “bad” — guilty or regretful, feeling responsible for something that happened. “Glad”, “Mad”, “Bad” or “Sad”. I’ve seen it again and again. Somebody dies in a hospital, and no matter the circumstances, there will be some relatives get angry: angry at the doctors who missed something they should have caught, angry at a nurse who said something insensitive, angry at the son in law who chose not to come before the death, angry at the patient because she didn’t quit smoking when she should have, angry at the drivers in the other cars who clogged the roadways on their way to the hospital. Likewise, when somebody dies in the hospital, there will be some relatives feel guilt and shame. They should have gotten there earlier in the day. If only they had urged the patient to quit smoking more insistently, if only they had been closer. Shame and Rage cover grief. I do not recite this long litany of unacknowledged, unfelt, black deaths to make you feel bad. Your guilt and remorse would be kind of fake and symbolic. For most of us, our connection to these events isn’t personal, or immediate. And I don’t recite this long litany of unacknowledged, unmarked black deaths to make you angry, although that might be an expected and reasonable response. This is Memorial Day, a day for remembrance and mourning. A day of lamentation. My message to you this morning is that I invite you to let yourself feel sad about this mountain of death — to let the grief into your heart. My message is that we need to redraw the boundaries of our grieving community. I will not argue with that feeling — just notice that that is what you are feeling. One of the reasons we observe Memorial Day, or Veterans Day, or All Souls Day, or even Martin Luther King’s Birthday, is to hold hands and walk together into our grief and sadness. To confront as a community, our shared trauma. For many of us, for much of our history, those whom we have loved, and who were lost in our wars, they are our national shared trauma. We set aside whatever we think of those wars — eventually Memorial Day came to include mourning even the Confederate Dead, think of it — it means that we put aside our feelings about the war in Vietnam or in Iraq and Afghanistan to honor the luminous life that animated each one. Because we are standing together we let into our lives, all the grief borne by the fallen’s parents, their lovers, their children, their friends, their comrades in arms. We now longer quarrel with their life choices, nor dispute their character. Their humanity shines through, and thus, their higher humanity, their divinity, if you will, shines through. At this point in American history, we are asked to absorb the vast difference between the experiences of people of color and the experience of white people in our history. Young black people of extraordinary power are challenging this country, asking if their lives actually matter for their own sake. Or are they disposable people? They demand that their lives must matter. For we who are white to respond with a yes, we have to open our hearts to the memories of all these unacknowledged, unmourned, unaccounted for black deaths in our history. Everyone was somebody, some one whose life was as precious to them as ours are to us, someone enmeshed in a web of families and lovers and friends and companions, just as we are. We should have been at their memorial services, and embraced their mothers at the graveside. We should open our souls to them today. There is a haunting line from a poem in the back of our hymnal, from Archibald MacLeish. Written during WW2, but also summarizing his experience in WW1, it contains these words, which today, I read as a challenge to us as we consider the uncounted and unhonored deaths of people of color in our history. Tom what a wonderful sermon. Thank you. I did want to mention that the email version comes unattributed. So when I wanted to save the email version with attribution for quotation on another day, I had to go back to the blog version. And since there are 3 authors on thelivelytradition, you each might want to sign each posting.